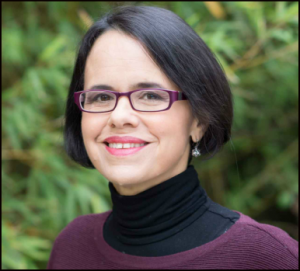 Dr. Jennifer Welsh is a Professor and Chair of International Relations at the European University Institute in Florence, a Fellow at Somerville College, University of Oxford, and the former Special Adviser to the United Nations Secretary General on the Responsibility to Protect. Dr. Welsh was appointed by Secretary-General Ban Ki-moon as his Special Adviser on the Responsibility to Protect in July of 2013. As Special Adviser, she worked to develop the concept of the Responsibility to Protect, as defined by the UN General Assembly in the 2005 World Summit Outcome document (A/RES/60/1); to provide guidance to Member States and non-governmental organizations on implementation of the Responsibility to Protect; and to promote the ‘mainstreaming’ of the Responsibility to Protect within the United Nations system. Prior to serving as Special Adviser, Dr. Welsh taught as a Professor of International Relations at the University of Oxford, and served as Co-director of the Oxford Institute for Ethics, Law and Armed Conflict (which she co-founded in 2008). She has also taught at the University of Toronto, McGill University, and the Central European University in Prague. A prolific writer, Dr. Welsh is the author and editor of a number of books, her most recent being The Return of History: Conflict, Migration and Geopolitics in the 21st Century (2016) and The Responsibility to Prevent: Overcoming the Challenges of Atrocity Prevention (2015). She has also authored and co-authored a number of scholarly articles on the changing nature of sovereignty, the United Nations Security Council, humanitarian intervention, and the Responsibility to Protect. Dr. Welsh currently sits on the Advisory Board of the Frankfurt Peace Research Institute, and the editorial boards of the journals Ethics and International Affairs, International Journal, and Global Responsibility to Protect. After receiving a BA (hons) from the University of Saskatchewan, Dr. Welsh became a Rhodes scholar, earning both a Doctorate and Masters Degree in International Relations at the University of Oxford. She has also served as a consultant to the Government of Canada on international policy, and provides commentary in Canadian media on foreign policy and international relations.